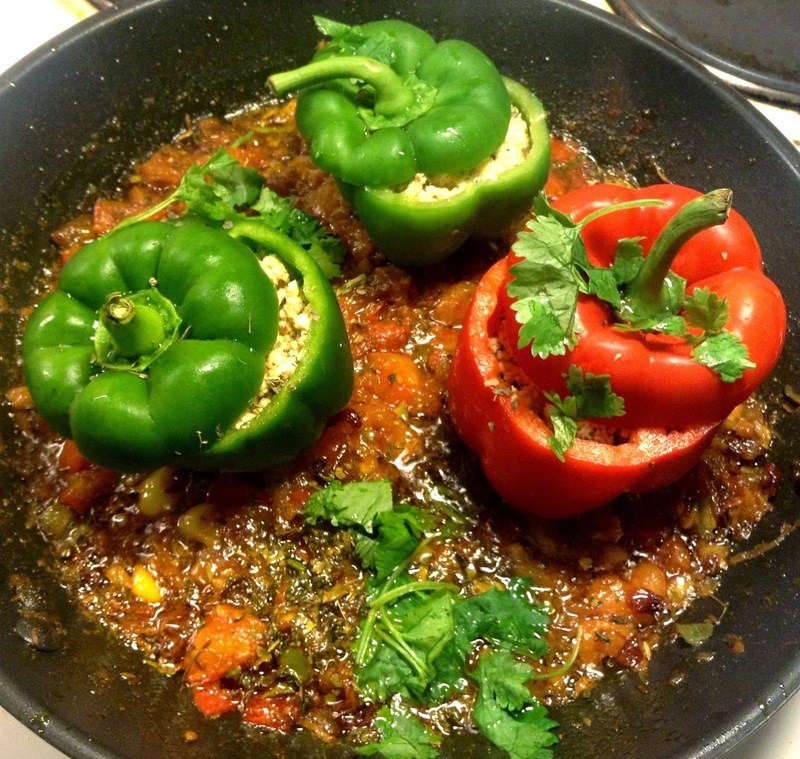 Ever since I had made Stuffed tomato, I have been wanting to experiment with capsicums; because I love how capsicums look, so colorful and are available in different colors as well.. but I was disappointed when I could not find any recipe for the same except for the ones which involved baking in the oven.. !! As I am not very perfect in baking and all, I decided to discover my own recipe for stuffed capsicums. And voila! it was a success.. !! Looked so wonderful, and tasted amazing as well.. Mission accomplished ! !